It is said that being successful always takes the right way forward. Wish to get motivated to succeed in life? 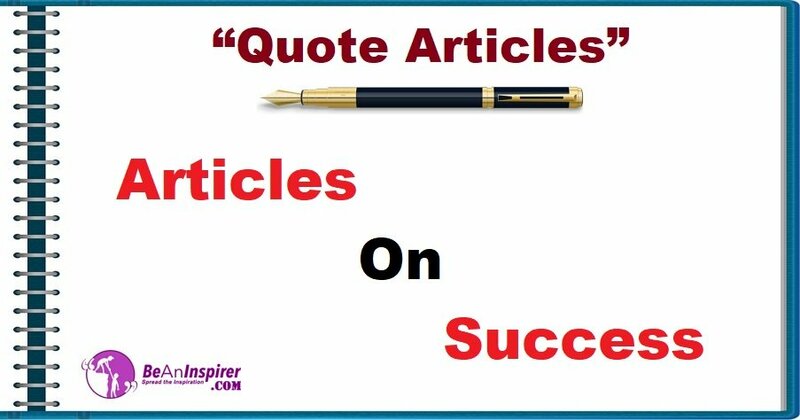 Head to the Quote Articles section for the Articles on Success infused with lovely nature photographs to understand what the famous personalities had to say and quote on success.